I wanted to have my center console painted, but now I think I want it wrapped. 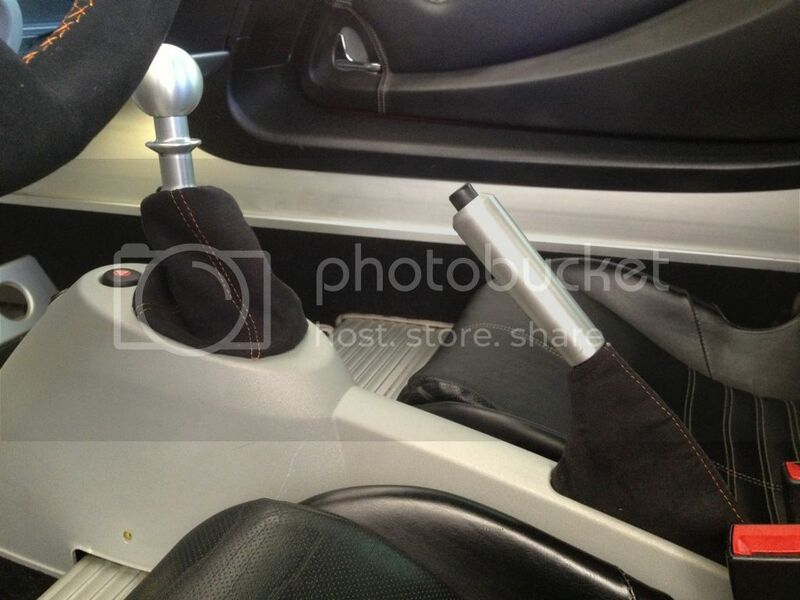 How about custom ordered OEM interior? Hey Abe, where did you get those window cranks and the e-brake handle from? "There's a distinct difference between someone who owns a Lotus, and someone who only owns a Lotus." Lotus Sports actually installed them when I ordered the car back in 2006. 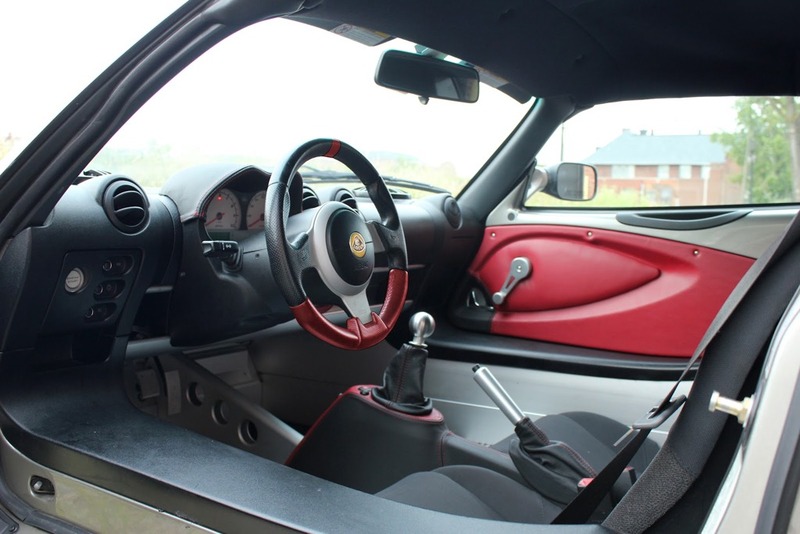 The car is essentially like an '06 Sport Elise but in the Type-25 color with green leather interior but a 2007 model...only one that way, special order. Since Lotus made it available on the Sport Elise, there "should" be a parts number that your local Lotus dealer can look-up and order. Guess I'll add my new steering wheel to this, just came in this weekend. 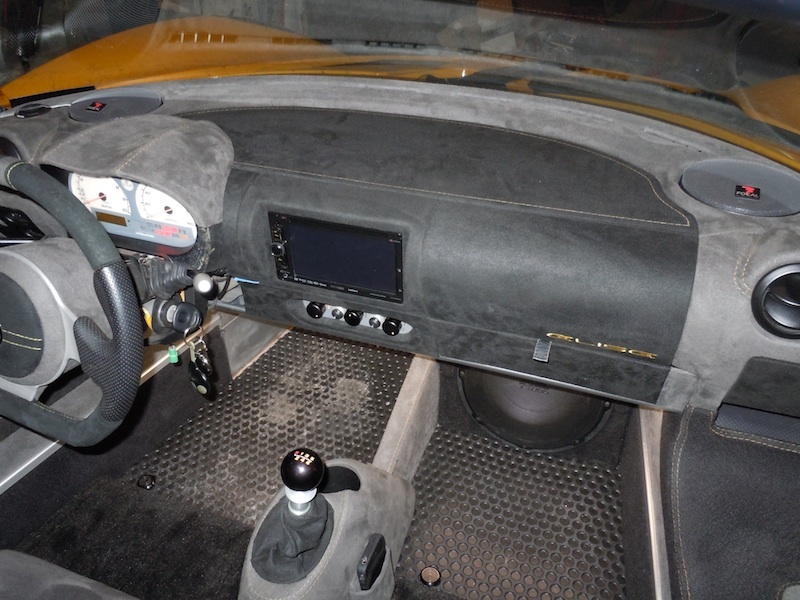 Still really struggling what to do with the interior of the Chrome Orange Exige. Tok the car down to a local place with excellent reputation. Nothing comes close in orange leather or alcantara. And they really don't like alcantara. They aren't even sure where they can get a matching orange thread. Really wanted to bring some orange into the interior. Ugh. Very frustrating! Has anyone done their sills? Stunning!! I absolutely love the color and quilted look! If the shop can't find similar thread, then you need to go elsewhere. Many many CO owners on this forum have done stuff with matching CO trim. 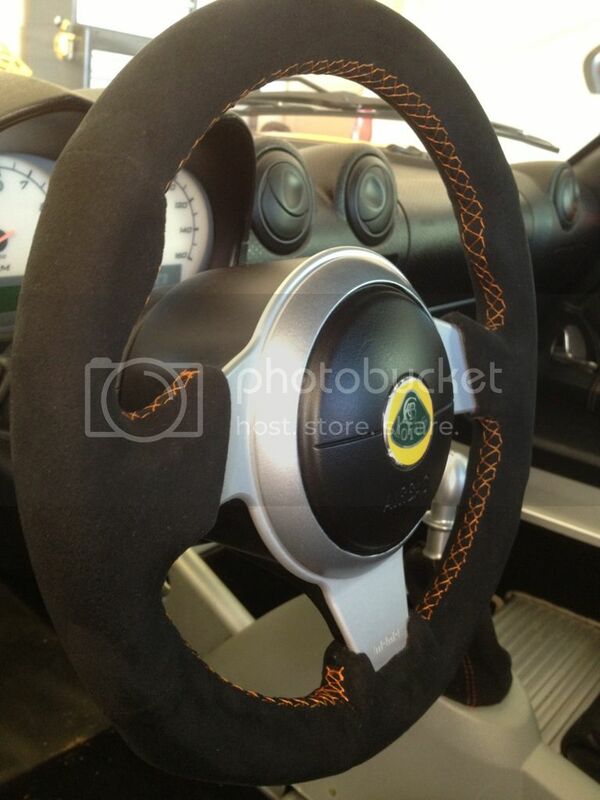 I would suggest expanding your search - google 'orange exotic cars' and see what they've done with their interiors. Mine was pretty much cribbed from parts 'Lotus California Edition' and a custom Tesla that Al and Ed's did. Maybe a two tone vibe in black/charcoal? Gives a bit of contrast, but no shocking orange. I originally had some yellow leather on mine, but it was just too damn garish in such a small car. Bumping this up for some more custom stuff! Thinking of adding some additional carpet that I sourced through JPM Coachworks after they did a fantastic job wrapping my door teardrops. Also planning on wrapping my door sills in leather. Basically I am enamored by the Tesla Roadster interior, and how a little carpet and leather goes a tremendously long way. 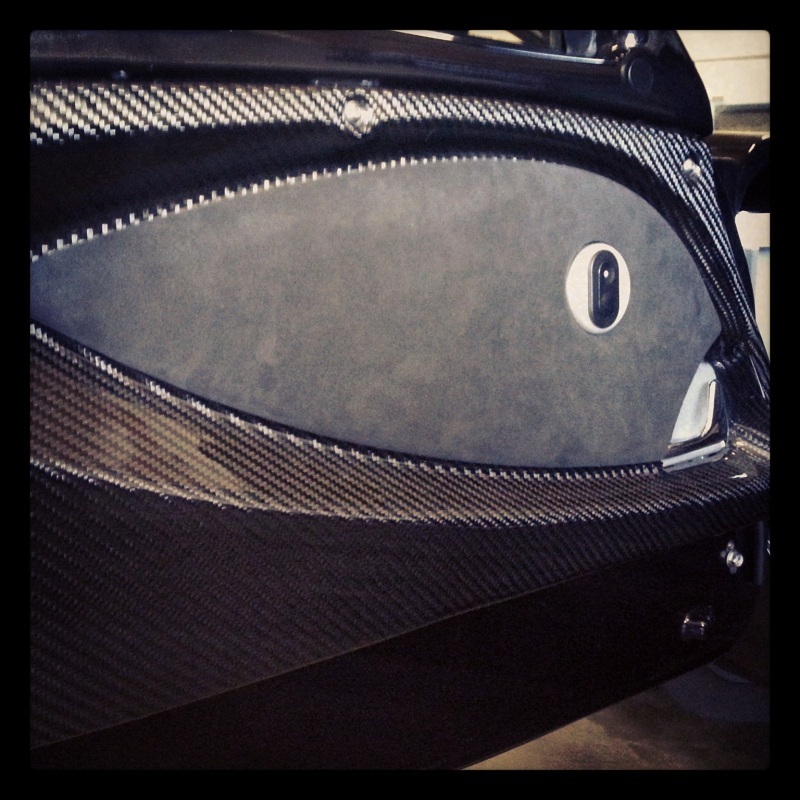 Your door cards look awesome with the teardrops! For the carpet on the side did you remove the riveted on aluminum piece or just carpet over it? How was the carpet attached? wow... i might just carpet my whole interior too. I have gotten too many comments about how cheap the car looks inside. Since i wrapped some things in leather, it helped a bit, but perhaps the exposed aluminum gives it the Kart look. I would like it to look similiar to the TESLA. LotuSii... where did you get your carpet from? Great looking interiors!! Thanks to all for posting.